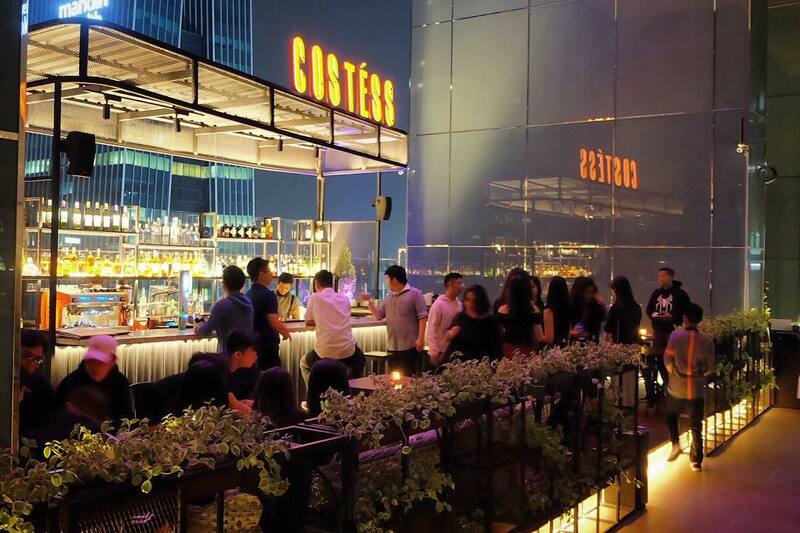 Taken from the name of a hotel in France, Costéss Cafe & Bar is a new convivial oasis for people of Jakarta. Especially, for business people and millennial workers who spend a lot of time in the Mega Kuningan business district. Nestled in the 17th floor of the Cyber 2 Tower building, the place brings a semi-outdoor concept fused with Jakarta’s city view and appetizing menu. 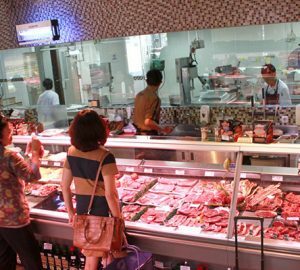 We visited this place that was not even 1 year being operated in Jakarta. Though it is located on the same floor, as well as a part of the Marquee serviced office and Connext co-working space, Costéss comes with a concept that is much different from those two places. Once we got in, the unexpected tranquil atmosphere was the first thing that we experienced. It is decorated with ornamental plants, green wooden chairs, and tables which bring more of the comfort. Our favorite area is definitely the bar area. It is located in the outdoor space and directly facing the Jakarta skyline. As the sun sets, this area is able to induce a charming vibe for socializing, or just to relax and back to the unhurried pace of life. With that amicable nuance, we couldn’t wait to enjoy it together with the food and drinks served here. On this first visit, we were presented with some of Costéss’ highlighted menu. As a starter, we were served with the cafe’s signature Nachos. Unlike the usual dull nachos, this one comes with a pretty visual and generous portion. Consists of homemade tortilla chips, topped with baked cheddar cheese, slices of jalapeno pickles, fresh tomato slices, and red bean. It is also served with sour cream or salsa sauce. That zestful mix is indeed worth making Nachos as a guests’ most favorite menu. Started with such a succulent menu, we then switched to the two leading Costéss main courses. Both dishes are also fairly creative compared to the Nachos. First is Chicken Aglio Olio, an Italian style spaghetti dressed with simple sauce, extra virgin olive oil, garlic, parsley, and chicken. The spaghetti was firm yet delicate, glazed properly with the olive oil, with a decent punch of spiciness. 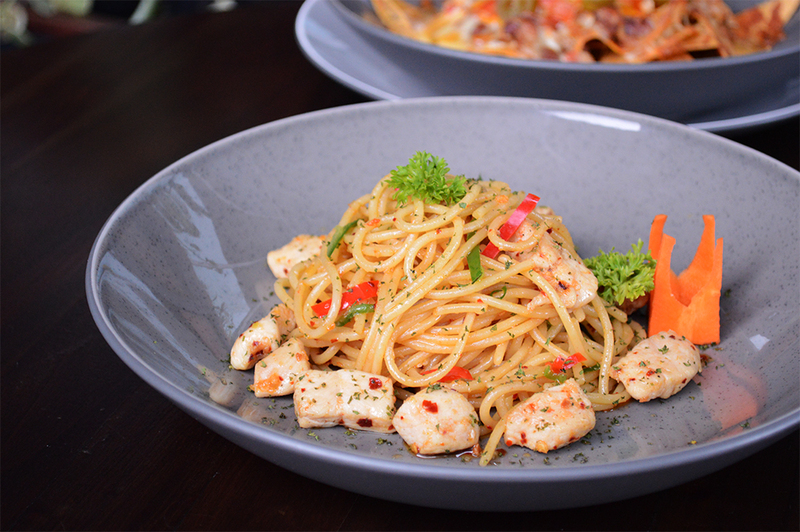 The use of cut chicken breast also exudes a different experience compared to common Aglio Olio spaghetti. The second main course was Dori Fried Rice Sambal Matah. 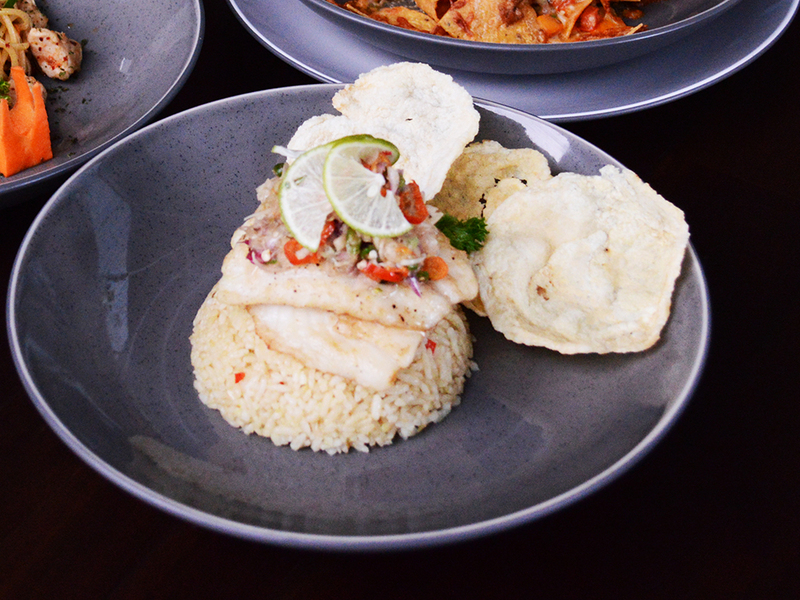 It’s a Chef’s special recipe of fried rice topped with pan-seared Dori fish and Indonesian sambal matah. 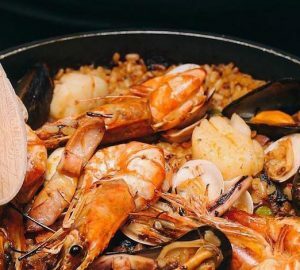 What we love about this dish is its captivating bold aroma. The fish was also so tender, while the sambal was so savory with a bearable spiciness. We then finished our meal with Costéss three signature beverages. One was a mocktail, and the other two were cocktails. 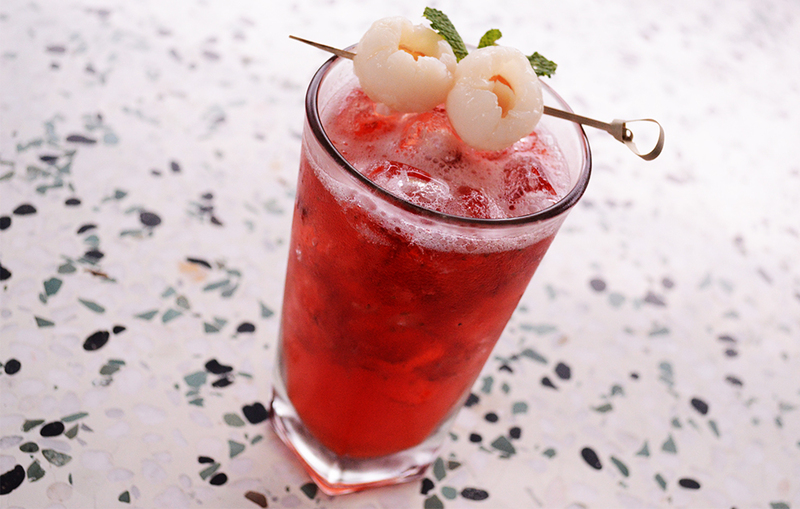 The vivid red and fresh mocktail is called Rose Berry. It is made of strawberry, lychee, and cranberry. Meanwhile, the first cocktail was the aromatic and refreshing Sangfroid. It is a mixture of whiskey, honey, and chamomile. 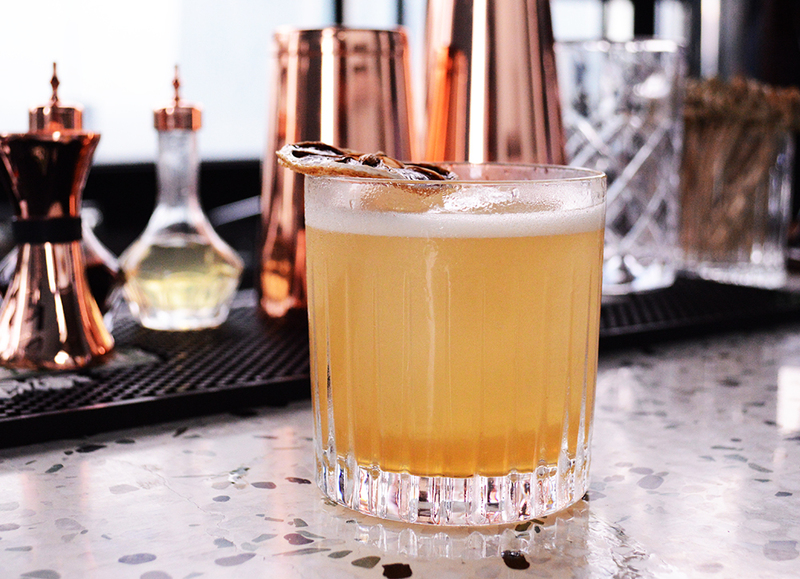 The second one is the sophisticated Monroe, a mixture of whiskey, Kahlua, bitter, and orange skin. Other than a place to escape from Jakarta hustle life, Costéss Cafe & Bar is also available as a venue for various events. 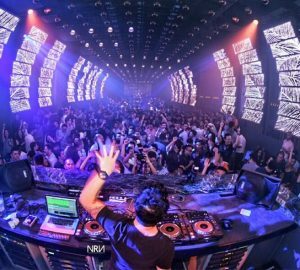 Ranging from a birthday party, company gathering or dinner, arisan, and even wedding, with a total capacity of 400 people (standing).